Namibia is a vast, yet sparsely populated land. It's unforgettable landscapes, teaming wildlife, desolation and unspoilt, arid beauty, have left countless visitors breathless and inspired. Namibia is in fact the second least densly populated country in the world with an area slighly more than half the size of Alaska. This is often underestimated when planning the route and length of a safari tour. To offer you some guidance in this matter we have compiled a possible 9 and 5 day tour. Please note that these tours are merely to assist and aid you in deciding on how many days your safari could encompass or where the route may take you. With years of experience in the guiding business, you can count on us to create a tailor-made tour that will suit your intended length of stay, the attractions you wish to see and experience, and the memories you want to take back home with you. 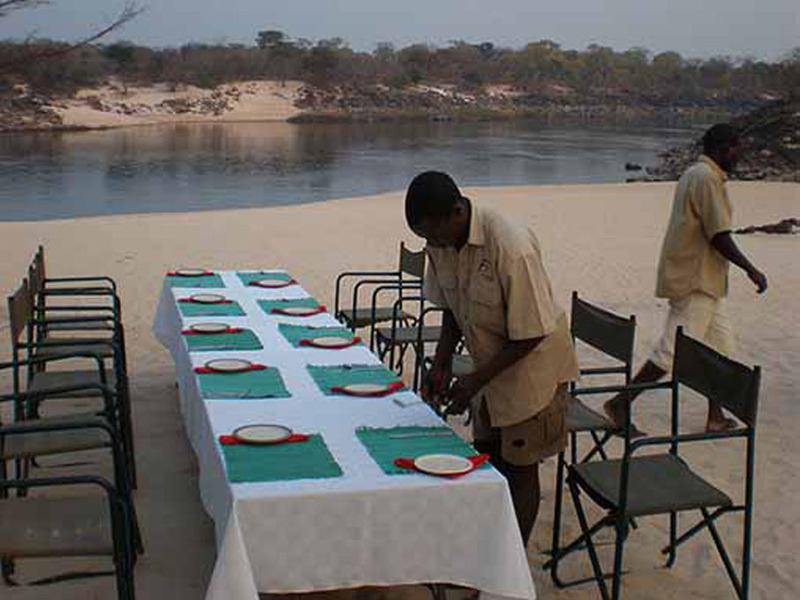 Let us make sure, that this safari is a dream come true and will remain with you for a lifetime. Meeting point and start of the tour is Palmwag or Khowarib Lodge. Spend the evening together, get to know each other while having a diner. Tour Start. We drive west into the Hoanib River. We stay there for the day, exploring the dry riverbed and the valleys alongside. We search for desert elephants, lions and other animals. Overnight: Wild camping in the Hoanib Valley. We carry on north over Okongwe to the Hoarusib Valley. We follow the river to Purros. On the way we see beautiful landscapes and do a gamedrive. Overnight: Camping at Purros Campsite. Shower and toilet available. We follow the Hoarusib Valley north over a beautiful pass to the Khumib ephemeral river. 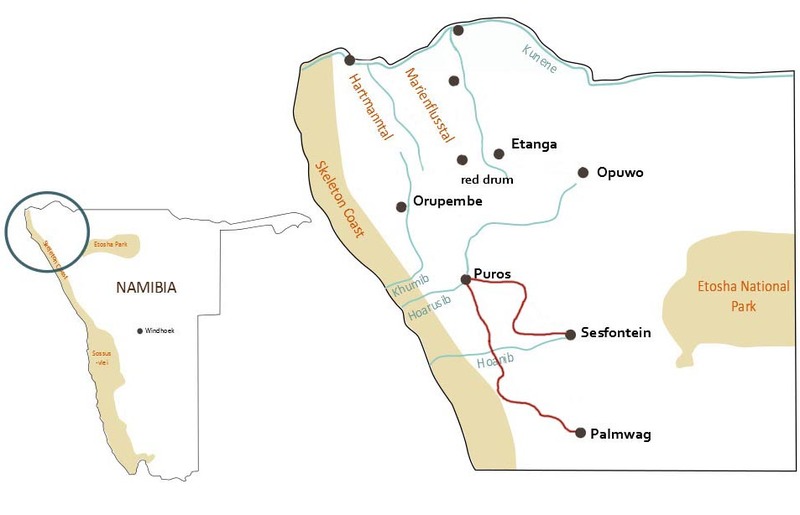 We follow the river to Orupembe and carry on northwest to the close vicinity of the Skeleton Coast Park. Overnight: Wild camping wherever we are at dusk. 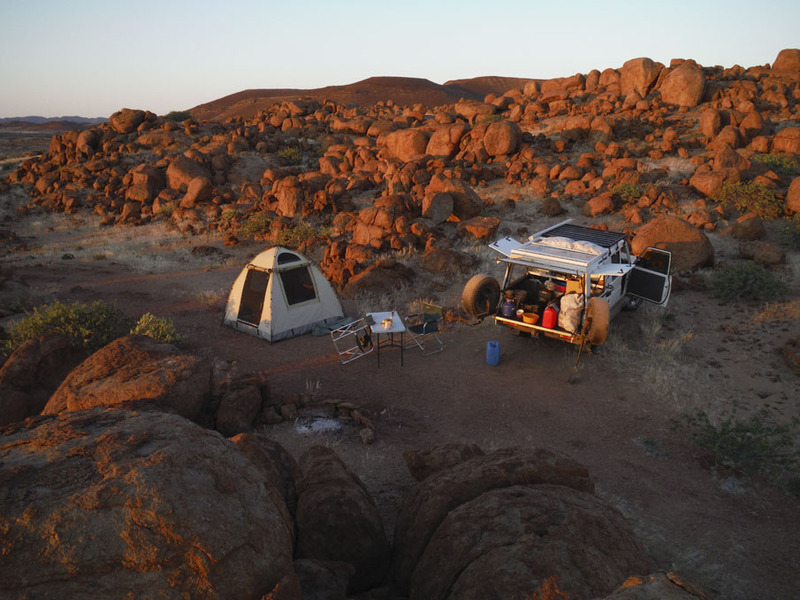 Proceed parallel to the Skeleton Coast Park through remote landscapes to the Hartmanns Valley. Overnight: Wild camping in the Hartmanns Valley. We explore the Hartmanns Valley with short walks to beautiful viewpoints. Thereafter we have brunch, siesta and in the late afternoon a sundowner drive to a spectacular viewpoint. Via Red Drum we reach Marienfluss Valley and drive on to the Kunene. In the afternoon we take a walk or relax at the river. We drive back via Red Drum to Marble Camp just before Onjuva plains. On the way we may encounter members of the Himba tribe. Overnight: Camping at Marbel Campsite. We drive east via Otjihaa meeting many Himba on the way to just before Etanga or as far as we manage to proceed. Drive to Opuwo. We stay over at Opuwo Country Lodge or at the campsite. In the evening we have dinner together and a last campfire (if we are camping). End of the tour. On the next day you proceed with your privately planned tour. 3 Pax from N$ 22400 p.p. 4 Pax from N$ 17800 p.p. 5 Pax from N$ 15200 p.p. 6 Pax and more from N$ 12500 p.p. •	This tour is only possible as a self driver tour with own vehicle since the starting point is not the same as the end destination. •	Every vehicle partaking must carry at least 180 l of Diesel/Petrol. •	The tour may also be done in the reverse. •	The participants have to insure their own vehicle for the duration of the 9 day off road trip. •	Drinking water, beer, wine and juice for 9 days. 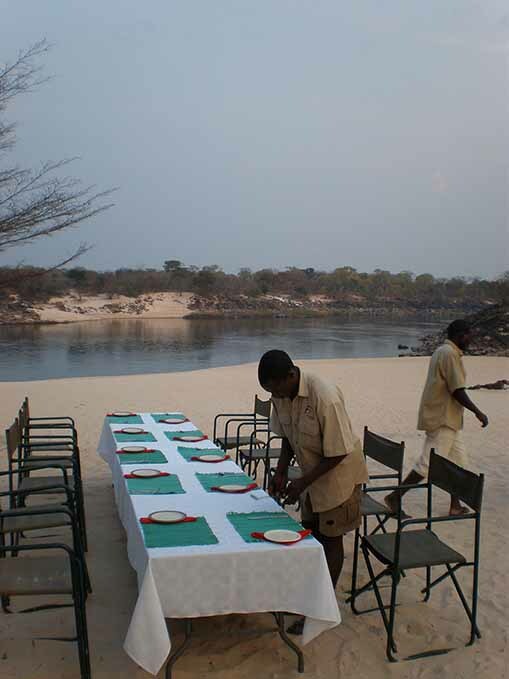 •	Accommodation, meals and drinks at the lodge/campsite at the meeting point. •	Accommodation, meals and drinks at the lodge/campsite at the destination. •	Vehicle insurance of the participants. After breakfast, depart into Palmwag concession, looking for desert adapted animals but concentrating on the Black Rhino. Overnight: Wild camping in the Palmwag consession. We drive north through the Mudarib river into the Hoanib river. Beautiful landscape drive and possible sightings of desert adapted lion and elephant. Overnight: Wild camping close to the Hoanib river. We spend the whole day looking for animals in the Hoanib river. Game drive in the morning, siesta and another drive in the afternoon. Overnight: Wild camping on the same spot as night before. We drive north to the Hoarusib river. Along the river we reach Purros and overnight at Purros community camp, with shower and toilets. Beautyful landscape and game drive. At Purros we visit the Himba late afternoon. We drive back over Tomakas and Sesfontein to the last lodge of guests choice. Lunch stop at Onganga spring. We spend the last evening together at the lodge. Next morning each party continues on their own route. Prices based on this 5 day tour are per person per day to make it totally flexible. Experience an authentic African Safari with a trained guide by your side. 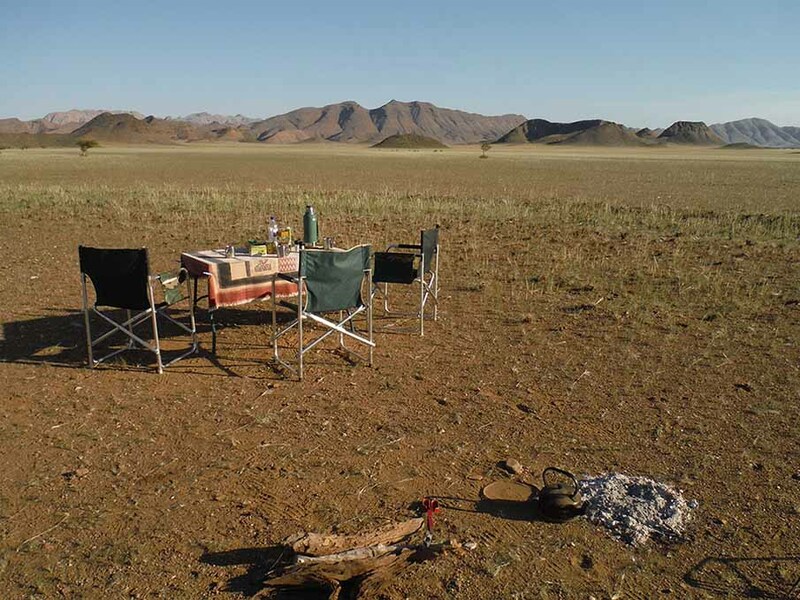 Benefit from years of experience in the Namibian Tourism Industry and our professional and trusted advice. Our guided tours are limited to a small number of people. Together we will create a tailor-made itinerary to suit your intended length of stay, your budget and your sense of adventure. We organize all the logistics, equipment, bookings & accommodation. These tours are also suited for individuals and small groups seeking a photographic adventure. We offer tours to all destinations in Namibia, specializing in desert guiding. Please contact us for more information and prices regarding our guided Safaris.